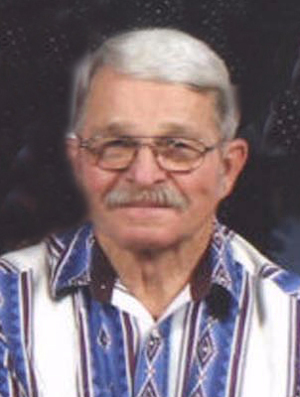 Obituary – Mouser, Willie Joe « Perry High School Alumni Association, Inc.
Willie Joe Mouser, born March 12, 1933, in Cleveland, OK, went to be with his Lord on July 27, 2011. Willie was reared on a farm SE of Perry, OK, by his parents William Joseph and Mamie Tiny (Adams) Mouser. 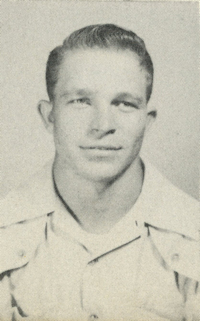 He graduated from Perry High School in 1953 and immediately went into the Army until 1955. The Coleman Company hired him where he worked for about a year. He began work for Southwestern Bell Telephone in Stillwater, OK, in 1956. His telephone career took him to Arvada, CO, Oklahoma City, OK and Edmond, OK. In 1958 in the Presbyterian Chapel in Perry, Willie married Jeanne Thompson. They had two sons, Tim and Jon and were married 52 years. Upon his retirement he and Jeanne bought 80 acres where he built their farmhouse. He enjoyed planting his wheat and a cattle operation. Even after moving to town Willie enjoyed planting gardens and his yard was his hobby. Willie was an active member of the Poplar and Warner Church of Christ in Guthrie, OK, where he served as an elder. His church family was very important to him and he loved his Lord with all his heart. Whenever a project at the church needed done, you could usually find Willie working on it. Beginning in 1995, Willie started out his love for singing at Guthrie’s radio station KOKC. He enjoyed singing in nursing homes, senior centers, a wedding and performed with Saturday Nite Jubilee, the Oklahoma Opry and Kikkin Kountry Show. For the past several years he has played with The Cimarron Country music show which later became The Sundowners where he was still an active member of the band. His music family meant a lot to him and his singing and yodeling will be missed by all. Willie was preceded in death by his father, mother, a brother and a sister. He is survived by his wife of Guthrie; son Timothy Joseph Mouser and his wife, Julie, of Oklahoma City; son Jonathan Lee Mouser and his wife, Karen, of Tulsa, OK; grandchildren Kayleigh, Savahnna, Tommy and Cory Mouser; brother Vernon and his wife, Ruth Friend, of Del City, OK; sister Marie Roberts of Tulsa; brother Austin and wife, Carolyn Mouser, of Liberal, KS; sister Rena and her husband, Donald Bode, of Perry, OK; sister Jane and her husband, Allen Green, of Seminole, FL; sister Jeanne and her husband, Bruce Klein, of Stillwater, OK; mother-in-law Opal Thompson of Perry; sister-in-law Kathleen and her husband Bill Smith of Delaware, OK; and many nieces and nephews. Willie was a quiet, gentle spirited man who lived his life as a shining Christian example to all. He was a wonderful husband, father, brother, papa and friend. Memorials may be made to Poplar & Warner Church of Christ or Poplar & Warner Church of Christ House on Pine at 320 N. Poplar, Guthrie, OK, 73044. Funeral services will be held at 10:00 a.m., Saturday, July 30, 2011 at Smith Memorial Chapel, Guthrie. Interment will follow at Grace Hill Cemetery, Perry. Services are under the direction of Smith-Gallo Funeral Home, Guthrie.